ScientifEQ is a brand new equine diagnostic laboratory. ScientifEQ is linked to the School of Veterinary Science at the University of Liverpool through a knowledge transfer partnership. This provides both the technical and research input from Professor Chris Proudman and colleagues. At ScientifEQ we use the most sensitive faecal egg count technology developed by Professor Proudman. Why was Scientifeq set up? There is a huge concern in the veterinary community over commercial faecal egg counting laboratories. 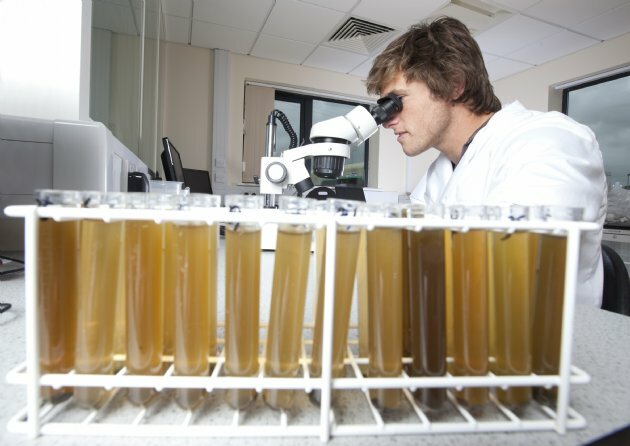 Any one can set up a lab, they don't need any qualifications and there is no quality control over the sampling techniques or regulation on the advice being given. Scientifeq has been set up as a laboratory that horse owners can trust. The techniques being used have been developed by senior veterinary parasitologists. [Vets who have chosed to specialise in worms], and that the laboratory is quality controlled by a prestigious University. When your sample arrives our technitions seggregate it into different segments. The first segment is put forward for sampling and split into two tests. This means you get two tests for the price of one, at this point. We know that there can be a huge variation between the apportionment of eggs over the sample and, as far as we are aware, none of the commercial labs carry out this practise. If your results are outside of our normal range then we retrieve the remaining dung and test that two times as well. This means you get four tests for the price of one. Our responsibility is to you the horse owner, to enusre that you get accurate results. In addition we will idenitify any live worms, found in dung, at no charge once you are a regular customer. We do ask you to complete a short questionnaire so that we can make an accurate recommendation and wormer prescription, once we have your results. This is critical to ensuring that you have correct and qualified advice. On average 50% of results need additional explanation to the standard laboratory interpretations. Buy one collection kit for only £9.95, or a year pack for only £36.50. This price can include up to 4 tests!!! All postage is included, as are reply paid envelopes and gloves. We are passionate about ensuring that horse owners have access to reliable, economical diagnostic services and hope that you agree. Worm egg counting is also very dangerous if you are not qualified to interprete the results correctly. There are more and more worm related illnesses being caused from owners taking a DIY approach to worm egg counts. Why and when do I need to carry out a worm egg count?